A volcano is a vent or fissure in the Earth’s surface, usually found where tectonic plates meet. It emanates from a magma chamber deep in the earth’s crust, from which a vent conducts the molten lava to the surface – with explosive results! 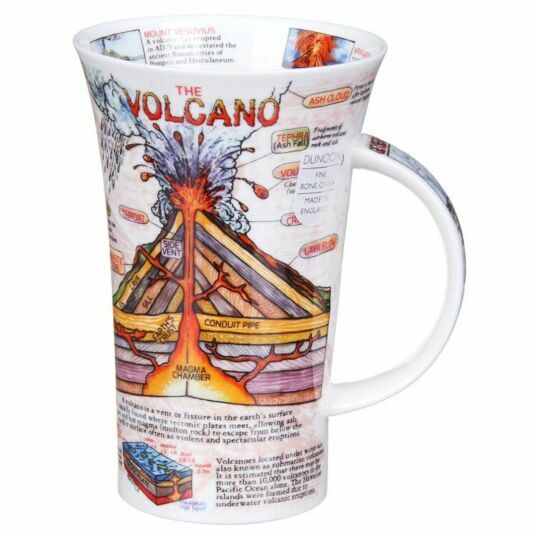 This tall and informative mug from Dunoon explains how volcanoes work, with fascinating facts and detailed illustrations. A useful mug illustrated by Caroline Dadd to make your coffee break that bit more interesting!